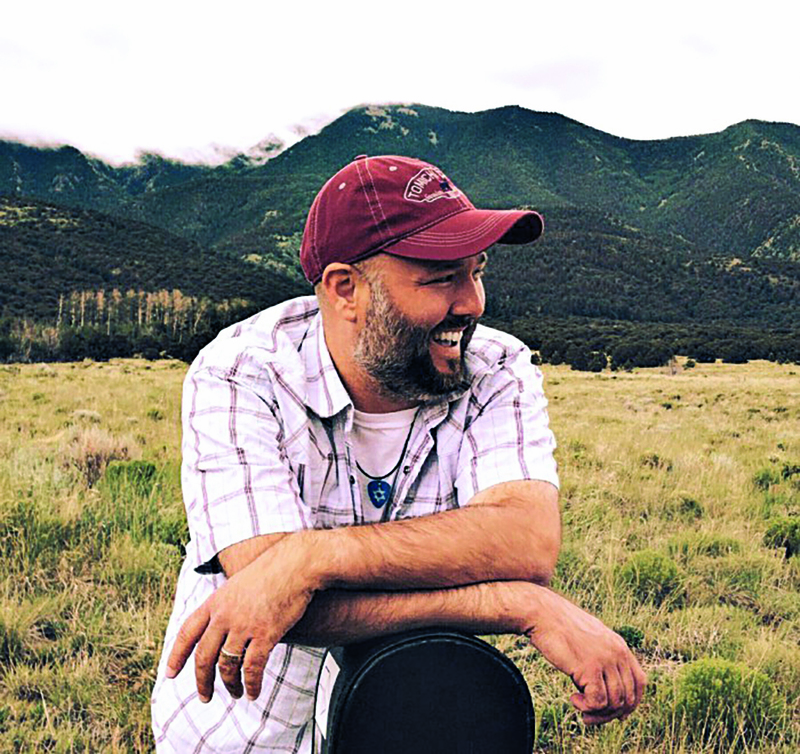 Banjo picker Eric Lindberg loves with a passion the distinctive harmonies of the acoustic country music known as bluegrass. However, he says, as a Jew, he long felt “a bit out of the loop. 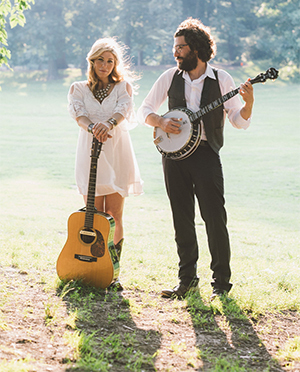 Bluegrass and old-time are two different approaches to traditional 20th-century American roots music, performed by ensembles made up mainly of stringed instruments such as fiddle, banjo, mandolin and guitar. 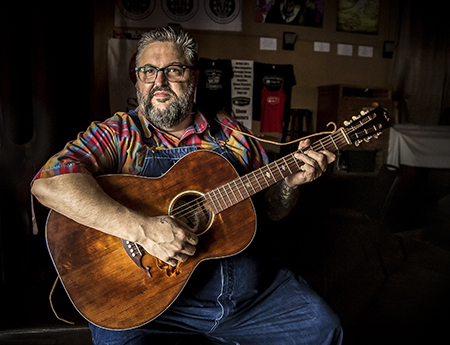 Texas-born Joe Buchanan, who is in his early 40s, calls his tunes “feel-good, toe-tapping Americana with a Jewish soul.” A convert to Judaism, the twangy country troubadour wears a kippah or a hat when performing songs that include the text of prayers and unabashedly celebrate his embrace of the Jewish faith. “And you can choose to be chosen/ You can stand up off your knees/And the reward for doing good/ Is the good in the world that you see,” he sings in the title track of his recent debut album, Unbroken. New Orleans-based Mark Rubin, 51, a veteran of both the American roots and klezmer scenes, takes a different tack on his new album, Songs for the Hangman’s Daughter. In songs such as “Southern Jews Is Good News” and “Teshuvah,” Rubin, who was born in Stillwater, Okla., bluntly attempts to reconcile his experience as a culturally Jewish musician in the American South. Mandolin and clarinet virtuoso Andy Statman and award-winning scholar and performer Henry Sapoznik, now director of the Mayrent Institute for Yiddish Culture at the University of Wisconsin, were both pioneers of the klezmer revival movement. They had been steeped in old-time and bluegrass before turning to Yiddish sources in the 1970s. The two continue to perform American roots music. Sapoznik, 64, has just released his first old-time banjo recording in more than 30 years. “It’s exciting to return to my banjo roots,” he says. Called Banjew, it includes parlor songs, dance tunes, ballads—even a Yiddish medley. “There has been from the beginning of the klezmer revival a thread running through it that comes out of involvement in American old-time and bluegrass,” says fellow klezmer revival pioneer Michael Alpert, 63. Both Alpert and Statman, 67, are recipients of the National Endowment for the Arts’ National Heritage Fellowship, the country’s highest award in folk and traditional arts. Ruth Ellen Gruber writes about Jewish culture and heritage and runs the website jewish-heritage-europe.eu. Thinking of.my late brother Rick who was national champion claw hammer banjo champion who died far too early. Rick Abrams was also a prizewinning newspaper reporter. He was a member of an Orthodox congregation. He won more banjo ribbons at the Galax Va. than probably anyone at the old time competition. His family and friends miss him dearly. Along the way he raised thousands of dollars to fight cancer by emceeing the Seminole Bluegrass Festival for years. This wonderful article is missing a reference to the Fabrangen Fiddlers who in the 1970’s and 1980’s wrote and performed Jewish music that was blended with American folk styles including Bluegrass. Jewish-bluegrass connections are actually much more extensive than this wonderful article and the above comments take into consideration. Excerpting from my first (award-winning) book, Homegrown Music: Discovering Bluegrass (Praeger 2004): “New York City is America’s original melting pot. Breakfast Special grew out of New York’s Country Cooking in the seventies. It embraced the amalgam of ethnic influences found in New York City. Among others, it included fiddler Kenny Kosek and Cooking mandolinist Andy Statman. Incorporating traditional Jewish melodies and other ethnic infusions, the group explored the multi-cultural neighborhoods of the Big Apple in bluegrass context, adding a heavy dose of original material.” I went on to describe klezmer and other bluegrass artists that “mixed it up,” including Margot Leverett and the Klezmer Mountain Boys, profiled some years ago in Hadassah Magazine, as well the above mentioned Fabrangen Fiddlers and the Diaspora Yeshiva Band. From the Klezmatics, fiddler/composer/singer/songwriter Lisa Gutkin is currently receiving wide and well-deserved acclaim for her roles on Broadway’s “Indecent.” I will modestly mention that my first professional position in bluegrass was as assistant editor of the seminal bluegrass magazine Pickin’…..owned by Jewish partners. And by the way, I am not only a third generation Life member of Hadassah, I was Hadassah Magazine’s editorial assistant from 1981-82. Looking to hook up with some bluegrass pickers while in Israel Oct. 15-29,2017. Can anyone out there name some pickers/jams/groups/associations in Jerusalem and Tel Aviv?